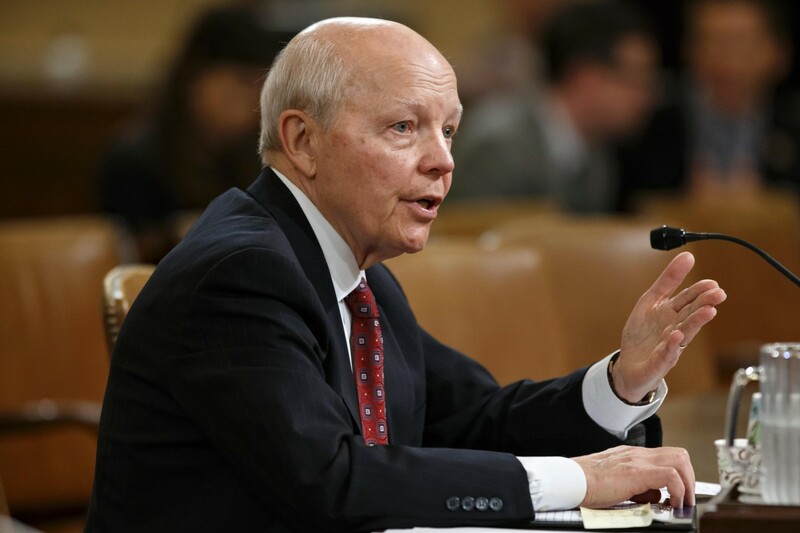 As the IRS coverup of its and her malfeasance continues, the Republicans’ new House leaders should exercise this constitutional power: “The House shall have the sole power of impeachment.” The current IRS director, John Koskinen, has earned this attention. How could he assert the absence of evidence that he had not sought? He had testified that he had conducted no investigation of the targeting. Even if, as Koskinen says, he did not intentionally mislead Congress, he did not subsequently do his legal duty to correct the record in a timely manner. Even if he has not committed a crime such as perjury, he has a duty higher than merely avoiding criminality. If the House votes to impeach, the Senate trial will not produce a two-thirds majority needed for conviction: Democrats are not ingrates. Impeachment would, however, test the mainstream media’s ability to continue ignoring this five-year-old scandal and would demonstrate to dissatisfied Republican voters that control of Congress can have gratifying consequences.